On the first day of the youth synod, Archbishop Chaput gave two excellent, incisive interventions (i.e., brief speeches to start the ball rolling, as it were). Here are two articles about them, with the full text at the bottom of each article. One, on how using secular terminology already gives away too much of what is in dispute. Two, on the "moral adolensence" of Western materialist culture. "Augusto Del Noce, the late Italian philosopher, described our situation best in his essay, “Technological Civilization and Christianity.” It’s worth reading. As “postmoderns,” we’ve tried to overcome our despair with science and technology, and they produce many good things. But they also focus us radically on this world and away from the supernatural. As a result, man’s religious dimension, our sense of the transcendent, slowly dries up and disappears. Technological civilization doesn’t persecute religion, at least not directly. It doesn’t need to. It makes God irrelevant. "The Church will survive and continue her mission. But to do that, she first needs to acknowledge that the culture she helped create now has no use for her — and why. As a Church, we don’t yet see our reality clearly and critically enough. For example, the current synod’s instrumentum laboris (IL) talks about young people and the effects of social media and the “digital continent.” But it has no grasp of the deeper dynamics of technology that Del Noce names. "The IL, in its original form, is a collection of dense social science data with very little evangelical zeal. It speaks constantly about accompaniment, which is important, but it contains almost no confident teaching. It can’t and won’t convert anybody. 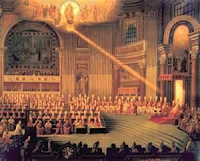 Hopefully, the synod fathers will fix this." NCRegister seems to be keeping their roundup mostly current, too. UPDATE - 8/27 - Archbishop and retired US Nuncio Vigano published a scathing summary (translation, in full) of what he claims to know and surmise about the highest levels in the Church covering up sexual abuse, not excluding even Pope Francis (in relation to the McGarrick scandal) . If true, this information suggests that numerous resignations-in-disgrace could be the most positive outcome still open. Vigorous attempts at character assassination of Vigano began immediately (which perhaps lends credence to his allergations), while Cardinal Burke (and a very few others, so far) are calling for independent investigation to establish the truth. Pope Francis, incredibly, completely dropped the ball in responding to questions about the Vigano letter during his press conference yesterday. 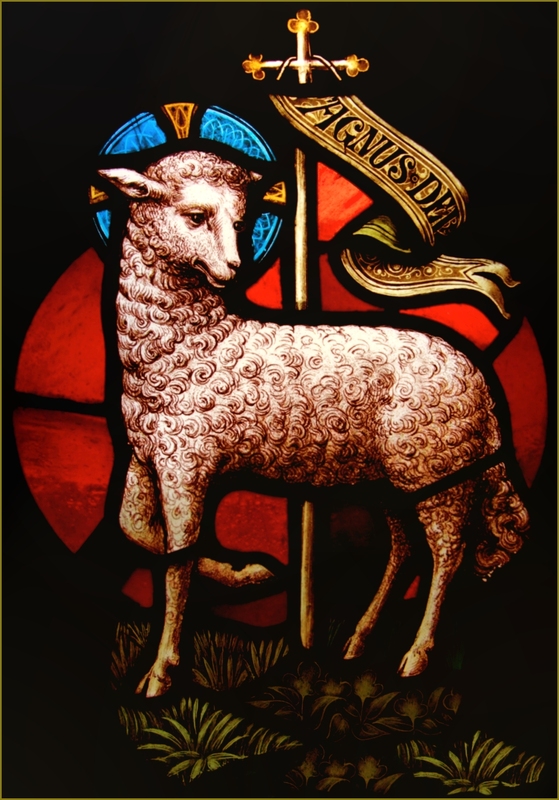 Archdiocese of Washington DC offers "Amoris Laetitia: Pastoral Plan"
This weekend, the Archdiocese of Washington DC released a longish document on their implementation of Amoris Laetitia. Like the exhortation itself, this "Amoris Laetitia: Pastoral Plan" offers (mostly) a straightforward recapitulation of the Church's teaching about marriage, some good advice about strengthening marriage prep (both remote and proximate), and a call for conversion and stability. We all know that our culture is increasingly anti-marriage, both in terms of more and more radical individualism and relativism, and in terms of failing to support marriage in ways both practical (tax laws, welfare state policies, etc) and theoretical (no fault divorce, education policy, court-driven custody rulings, etc). Having a solid biblical, Catholic, Christ-centered vision of what marriage is, and of what the common problems in marriage stem from, and of how to recognize and respond to those issues in healthy and faithful ways, is critical, and I applaud anything that helps build up the culture of marriage and helps actual couples live their marriages well in Christ. There are, however, two things about this pastoral plan that strike me as failing to aim at that goal from the outset. This doesn't necessarily take away from the practical wisdom contained in the document, but it does invite us to think more deeply about our vision and how we communicate it. never ends. This "desire to love and be loved" is eros-love. Eros is often where we start, not only in marriage but in many things we pursue. Eros is not inherently wrong or evil; it is about choices we make at the level of the "appetitive soul." If, however, our desire and ends remain only at this level, they tend to stagnate into selfishness and idolatry, addiction and neurosis. As Pope Benedict taught so clearly in Deus Caritas Est, natural eros must always be purified by divine agape in order to pursue the good rather than the self. Agape is that "self-giving love, reflected in the divine plan." It is love that imitates Christ's perfect love from the Cross. It therefore transcends the appetitive soul, through the action of a well-formed (not an eros-formed) conscience and divine grace, allowing the rational soul to perceive and choose the authentic good for others. What is unclear in the above paragraph is precisely that agapic love is not "natural" to us as humans. We must learn how to love this way. While it's true in a sense that God has written the desire for agape into our hearts (as St. Augustine wrote, "Our heart is restless until it rests in you, O Lord"), we do not have natural means to engage this. We require grace to transcend eros-love and be converted to love with Christ's agapic love. To fail to distinguish this grace-for-conversion here leaves the entire pastoral plan resting on an insecure foundation. Anyone who imagines that more eros (natural desire) can solve the problems created by unrefined eros (selfish desire) is bound to fail, but this is the conclusion being (inadvertently) invited here. Sacramental marriage gives grace precisely to transform eros into agape. No matter how kind and loving I am to my spouse and children, if I continue to treat them as objects of desire (i.e., they must fulfill me, they are in my life for my happiness), I am not responding to this sacramental grace. Eros transformed into agape means I live my vocation to married life as Christ crucified - that everything I am and do is for them, rather than the reverse. From eros fulfilled comes mere happiness; from agape fulfilling others comes joy and union with Christ. Therefore, while it is certainly true that "That (divine) plan offers a profound 'yes' to true joy in love," it must also be stated that deviations from the divine plan offer an (at least implicit) 'no' to the same conversion, joy, and agape-love. We must not conclude what the document leaves open to us (and what Amoris Laetitia, too, often seems to suggest), that deviations from the divine plan for marriage and family contain a partial 'yes' to God and grace. This might be true, only if the deviations result entirely from ignorance and weakness. When they result from a deliberate choice to pursue eros-love instead of agape-love (even when that choice is less than fully informed), they do not represent authentic modes of encountering Christ's grace, and they are therefore contrary to the divine plan. Eliding this distinction does not serve anyone well. The second problem risks being even more corrosive. It suggests that the Church's doctrine is not itself useful or practical, and that lived experience is needed to understand, or interpret, or even correct that doctine. At one level, this distinction is not problematic. I am not trying to suggest that lived experience is irrelevant to doctrine, or that the reception of doctrine is not fraught with difficulties stemming from our human weakness and falibility, or stemming from cultural presumptions at odds with the Gospel, etc. Even given this, however, it is tendentious in the extreme to suggest that the Church's pastoral care has ever attempted to engage with actual situations merely by "restating doctrine," or that, say, St. John Paul II failed to appreciate the complexities presented to the Church by contemporary culture (see e.g. Familiaris Consortio or Veritatis Splendor, or for a different vocational context, Pastores Dabo Vobis). Should we now discard the entire Code of Canon Law, beacuse it "limits us to faith statements?" At this level, the dichotomy becomes a blatant lie, pitting "mercy" (which now means making excuses for deviations from the divine plan for marriage and family) against "doctrine" (which now means cruelly expecting people to be unrealistically perfect). If this is our vision of marriage, "our faith is vain," as St. Paul says, because this vision of marriage is indistinguishable from the world's - eros without agape (love with sacrifice, happiness without personal cost), inherently self-centered, and "mercifully" lacking any possible leverage to modify behavior which is actually inimical to marriage, to the dignity of persons, or to salvation. I don't actually believe that the Archdiocese of Washington is promoting this cultural vision of marriage. But, by including these two ambiguities, it weakens the vision which it is trying to offer and sustain, of Christ's sacramental marriage. And our culture has already weakened that vision enough; we don't need to weaken our presentation of it still futher. What is the "Deposit of Faith?" #1 God, infinitely perfect and blessed in himself, in a plan of sheer goodness, freely created man to make him share in his own blessed life. For this reason, at every time and in every place, God draws close to man. He calls man to seek him, to know him, to love him with all his strength. He calls together all men, scattered and divided by sin, into the unity of his family, the Church. To accomplish this, when the fullness of time had come, God sent his Son as Redeemer and Saviour. In his Son and through him, he invites men to become, in the Holy Spirit, his adopted children and thus heirs of his blessed life. There is a lot of talk in the Church these days about "changing teaching." This kind of talk is dangerous, especially when it fails to make clear the critical distinction between what is changeable, and what is not, among the Church's many teachings. The whole of the "deposit of faith" is not changeable. As the quote from the beginning of the CCC shows, it is precisely this core content, revealed by God in the Incarnation, life, Passion, death, and Resurrection of Jesus Christ, as well as in Scripture and Apostolic Tradition, that must be kept whole and intact, and passed on to future generations. 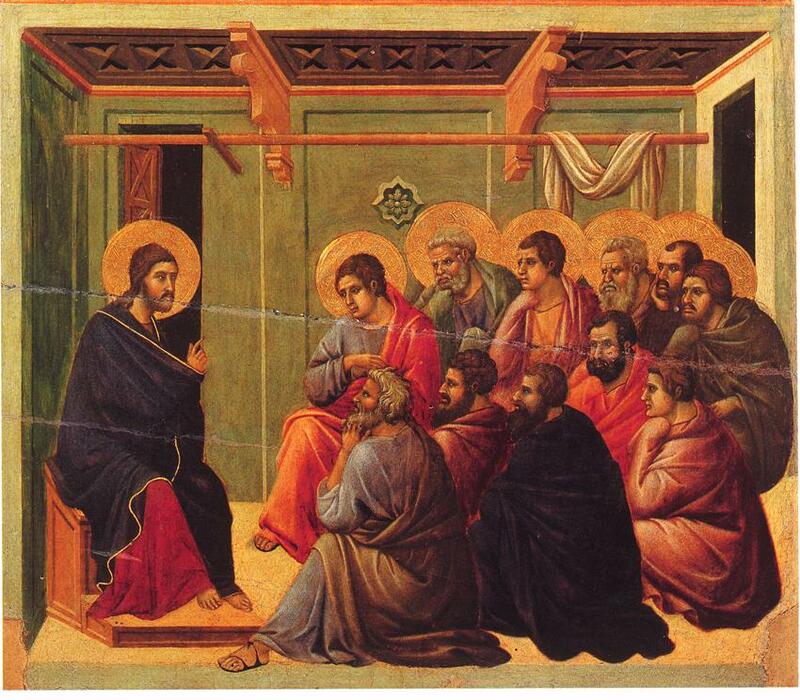 Christ Himself commanded that the Apostles (and their successors) do exactly that: preserve and hand on, without change, the teachings ("deposit of faith") He taught them. A certain bishop recently said, "We're not a Church of preservation, but rather a Church of proclamation." This is misleading. We certainly are a Church of proclamation, but the only thing we have authority (given by Christ) to proclaim is precisely what has been preserved, namely the apostolic deposit of faith. We're not free to add to it or subtract from it, to alter it, to rearrange its parts into a more pleasing pattern, to hide parts of it behind other parts of it, etc. We are given the mandate by Christ Himself to preserve it, and to hand it on. So, we are also a Church of preservation - not for the sake of preserving as an end in itself, but precisely for the sake of proclaiming something real and true. 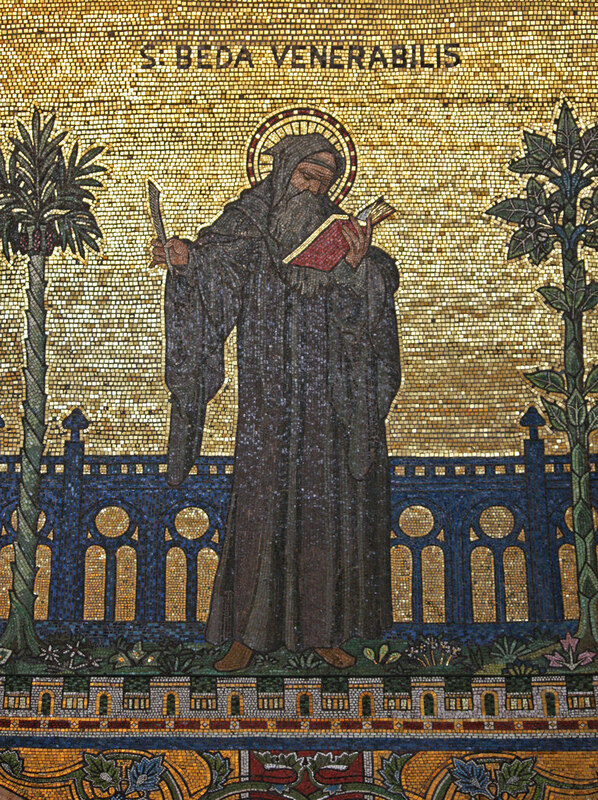 Scripture and Tradition - the unchangingness of revealed/inspired Scripture is generally unquestioned, but some modern translations implicitly change the meaning by subordinating the actual text to (transient) cultural norms; "Tradition" tends to be understood rather nebulously, rather than as the concrete set of things the Apostles actually did and taught, and therefore passed on to their immediate successors to be received as essential to faith in Christ. The problem is precisely that Tradition is not written down. But, the synthesis of the Pastristic Fathers and the witness of the medieval and early modern Church does a good job of demonstrating in practice what Tradition really means. Magisterium - the teaching authority of the Church. It has two and only two explicit duties, for which Christ has given His authority, namely, the preservation of the deposit of faith, and the interpretation of it across time and cultures. There is no authority given to innovate. "sensus fidei," the actual unity of faith experienced as the instinctive acceptance of what is consistent with Catholic faith, and the instinctive rejection of what isn't - this is a sure guide, to the extent that it matches up with "what Catholics believe, always, everywhere, and by everyone"
It is a greatly damaging modern conceit that only Catholics today matter, because Catholics in the past weren't "mature" or were "superstitous" or the like. This idea must be rejected as a grave sin of pride, and as a contradiction of the deposit of faith. All this content of the deposit of faith is ultimately received from God. Willfully to reject it, modify it, or subordinate it to personal whims or cultural demands is to commit the same sin of pride that caused the fall of the lost angels. (We sometimes do that not willfully, because we are finite beings, and because we are always under pressure from the world, the flesh, and the devil to make compromises. This is what we mean we say "The Church is always in need of reform.") To be faithful to Christ means that we must make every possible effort to receive the deposit of faith entire and uncorrupt (which is given to us with supernatural power in the sacraments and in the Magisterium of all time, so we can actually know it), and also to pass it on by our teaching, our witness, and our piety, likewise entire and uncorrupt. Much of what the Holy Father said is unexceptional, even inspiring. He began with a brief summary of the process of liturgical reform, noting such luminaries as Pius X, Pius XII and the 1947 encyclical Mediator Dei (a marvelous and inspiring work), and the sacred consitution on the liturgy of the Second Vatican Council, Sacrosanctum Concilium. 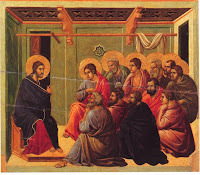 And he concluded with some thoughts about the "vivifying" character of the liturgy, particularly of the Holy Mass, noting especially (1) our Eucharistic participation in Christ's life-giving victory over sin and death, (2) the unity of the Church which flows from the sacraments (uniting peoples with peoples, and laity with clergy, and whole Church with Christ her Head), and (3) the importance of "mystagogical catechesis" (as of the Fathers, he noted) for revealing and sustaining our personal and corporate relationship with Christ. All this was quite good. And yet, as he too often does, Pope Francis managed to say something that sounded immensely important, but with a great degree of ambiguity and confusion. Following his summary of Sacrosanctum Concilium, he talked about the implementation of the liturgical reforms by Pope Paul VI. He said, "It's not enough to reform the books, in order to renew the (liturgical) mentality." He twice insisted on the identity (!!) of the enacted reforms with the intentions of the Council Fathers and text of SC. And he stated that "...we can affirm with security and magisterial authority that the litugical reform is irreversible." I agree that the liturgical mentality in the Church in much of the 19th and 20th centuries needed to be renewed. Under the cultural pressures of the Revolution(s) and the Enlightenment, the mentality of the Church became constricted, in several areas. Low Mass became the norm, rather than High Mass; minor orders fell into disuse in nearly all parishes; Gregorian chant became ossified, and congregations were little able to sing their parts; and so on. Against these trends, the Liturgical Movement was attempting precisely to renew the Church's culture of worship, starting with the refounding of the great abbey of Solemnes after its destruction during the French Revolution, and the renewal of its monastic liturgy. It slowly gained momentum before Vatican II. It's impossible, however, not to notice that much (not all, certainly, but much) of the implementation of the postconciliar reforms changed the nature and the direction of that Movement. It's also impossible not to notice that, on several significant points, the implementation of the reforms did or attempted things not called for in SC, and also did or attempted things contrary to what SC called for. The result has not been a renewal of a vital litugical mentality, but the further erosion of what vitality remains. Where immediately before the Council, liturgy was very often done hastily, carelessly (of the Latin, of the reverence expected, etc), and therefore sloppily, immediately after the implementation of reforms, liturgy came to be done "experimentally," iconclastically, "self-referentially" (ironically, one of Pope Francis's more significant criticisms of the modern Church), and still more sloppily. The "Low Mass" mentality that prevailed was not renewed, it was cemented, and the spirit of modern lawlessness was added to it. Pope Benedict XVI understood these trends profoundly. 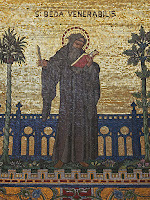 He grasped, and taught repeatedly, both that the practical implementation of the Council's vision of liturgical renewal had failed on several points, and needed to be very carefully reviewed, reconsidered, and corrected (this is often dubbed "the reform of the reform"), and that the Church will never be able to evangelize effectively in the modern world, with banal liturgy (!!!). On the first point, he led by example, and also gave the Church the gift of Summorum Pontificum, not out of a sense of nostalgia, but as a "restart" of the intended renewal. If we can remember the right way to undertake the liturgy in the "extraordinary form" -- that is, reverently, in union with Tradition and with the angelic, Heavenly liturgy, and in a manner that elevates hearts and minds to God -- then we can apply that to the "ordinary form," and find or develop the intended renewal there. On the second point, he preached loudly and incessantly about worldly banality as the prototypical illness of modernity, and that the medicine to cure it is true, deep, personal encounter with Christ, divine Love personified - best found in a vital, authentic, devoutly Catholic worship. It is, therefore, very difficult to understand quite what the Holy Father means by asserting "irreversibility." It seems that the statement must either be a tautology, or else factually false. Like so much else in the contemporary Church, that falsity is directly the fruit of the poor practical implementation of the desired reforms of SC. Fortunately, a good part of that needed "reform of the reform" has already begun, at least in some places; for example, a return to Gregorian chant (sometimes with classical Latin pieces, but even more so with new, vernacular plain-chant); a rejection of ugly, polyester vestments and burlap banners, and a retrieval of more beautiful and fitting vestments, church adornment, etc; a rejection of side-lining Christ in the tabernacle, and a return to "front and center" placement; the related re-emergence of Adoration and similar devotions; and so on. None of this means a rejection of Vatican II's liturgical reform and renewal. It _is_ the renewal. And, God willing, it will indeed prove "irreversible." 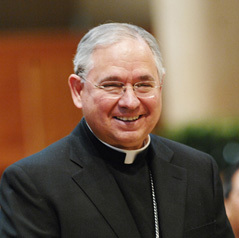 Archbishop Gomez of Los Angeles has released a pastoral letter on the human person, addressing in a broad but clear way the anthropological problems of our culture and all its attacks on human dignity and sanctity. I'm just skimming it quickly now, it looks like it's hitting the right notes and will be well worth more careful reading later.